There’re many reasons why you want to convert videos. The common reasons can be that you want to reduce the file size to play on a particular device or you want to keep the collection of your videos in the same format. In fact, many people want to convert AVI to MKV because MKV files have a better quality of the video files. 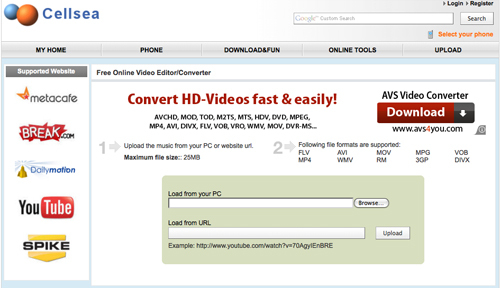 In this article, let’s learn about several best AVI to MKV converter software and online sites. KeepVid Video Converter is a desktop video converter solution to convert your videos to more than 1000 video and audio formats. This desktop video converter fully supports Windows and Mac operating systems, and it enables you to convert, edit and download videos with easy steps. 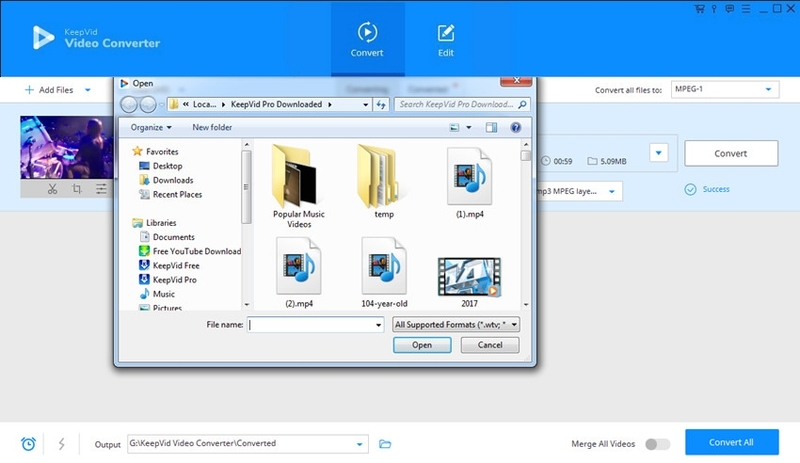 In this part, we’re going to show you how to convert AVI to MKV with KeepVid Video Converter. Step 1. 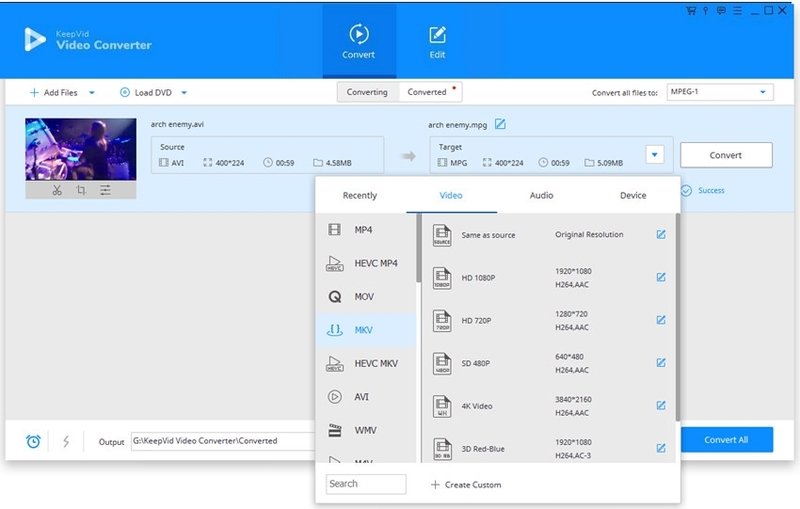 Open KeepVid Video Converter and add AVI videos into the program. Step 2. Select MKV as the output format, and click the Convert button to start converting AVI to MKV. Step 3. When the conversion finishes, you’ll get the MKV file in the Converted tab. Download and install KeepVid Video Converter on your computer, and start it. Select the Convert section, and click the Add File or Add Folder button to add the AVI file into the program. You can also drag and drop the AVI video file into the program window. After adding the AVI file into the program, the program will show you the detailed information of the video. Now you can click the inverted triangle at the right side of the Target area, and select MKV as an output in the pop-up dialog. You can also click the inverted triangle at the right side of the Convert all videos to button. Click the Convert button or Convert All button to start converting AVI to MKV. The program will show you the process of the conversion. When the conversion finishes, you’ll see the converted file in the Converted tab. You can also right-click the video and choose Open File Location to find the converted video in your computer. • Instead of converting local videos to other formats, you can download MKV videos from online sites using KeepVid Video Converter. 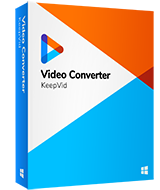 • KeepVid Video Converter provides you the feature to convert videos for your devices, including Android, iOS and more. • You don’t have to convert the videos one by one. This program offers you a batch convert option. • You don't have to worry about converting MKV to AVI as well, there's an article about how to do that. We're going to introduce the top helpful AVI to MKV online and desktop video converters in the following part. Check it out. KeepVid Online Video Converter can also help you a lot to convert videos in other formats. This converter is actually a website which converts your videos to more than 50 formats online without any charge. This is a totally free online video converter website, but it only allows you to convert one video at one time. You only need to visit the website to convert videos, and you don’t need to install any other software to use this program. 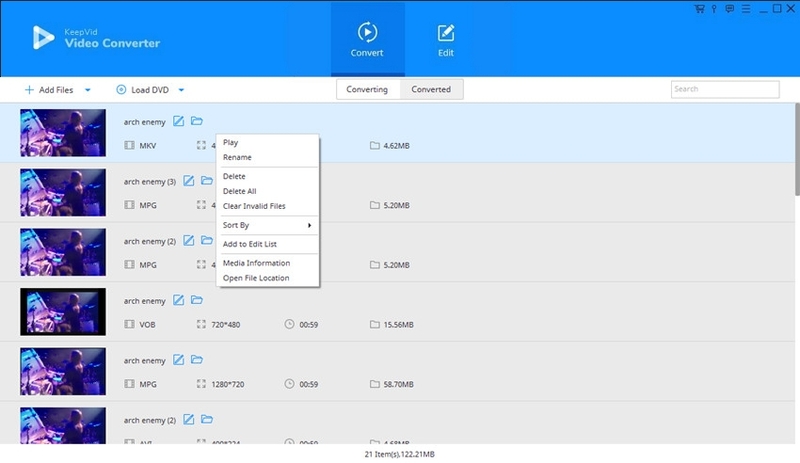 You are allowed to add your files into the converter by clicking the Add File button, once you’ve uploaded the file into the online video converter, you can convert videos in easy steps. 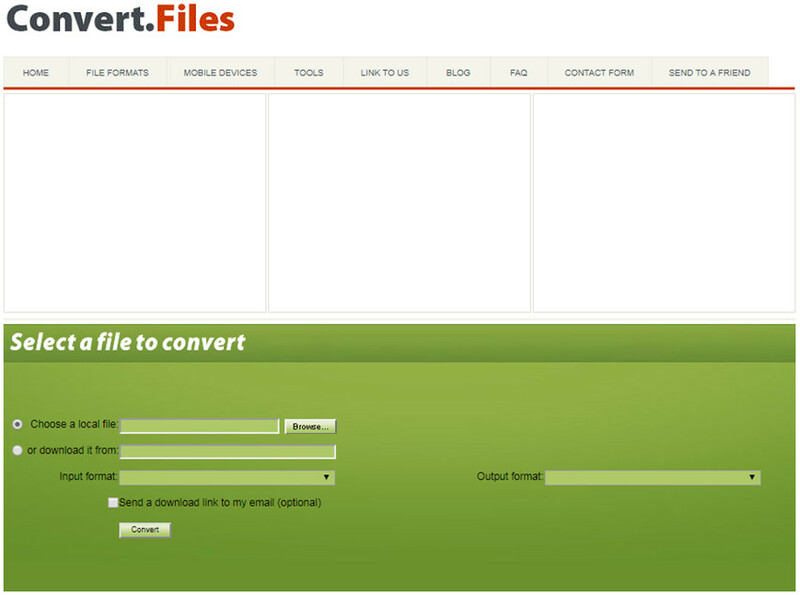 Convert Files is another online video converter website which allows you to convert AVI to MKV online without installing any software on your computer. This website supports many types of files conversion such as audio, video, documents, etc. There’re two ways for you to convert files, one is by entering the video URL, and the other is by uploading your local videos and convert. Cellsea is a free online video converter website and enables you to convert AVI to MKV or MKV to AVI without any cost. There is a downside of this website is that you can’t convert files more than 25 MB here. It enables you to convert files by uploading from your computer or by entering the URL of video. One of the most excellent feature of this online converter is that it allows you to select the mobile phone model for your conversion.